Are you feeling cooped up this winter? Like you just need something to occupy your time while you (probably impatiently) wait for spring? Me too. I’m a warm weather person, and don’t typically love spending time outdoors in sub-zero temperatures. So I got to thinking about what kinds of winter activities I could do that would cost no, or very little money. Because friends, I spend money based on my values (like travel! ), and spending money just to help get me through winter doesn’t sound like my version of fun! I mean, sure there’s skiing, snowboarding, ice skating or ice fishing but those might cost money or you might just freeze! 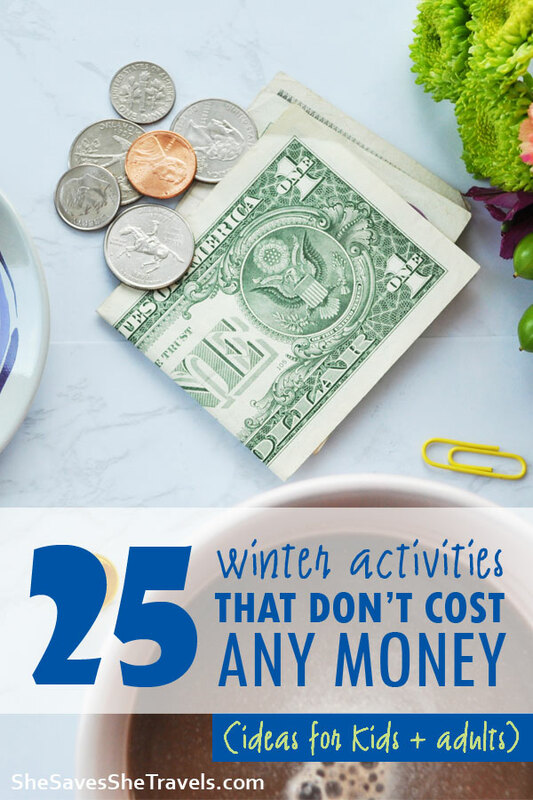 Whether it’s focusing on yourself, or organizing your life, or participating in winter activities with the kids, I hope you find things on this list that will help you survive until spring. If you’ve been dying to perfect your grandma’s homemade bread, have always wanted to make dishes with fancy cheese, or want to experiment with a vegetarian diet, why wait? You’re not getting any younger, but you can definitely get braver! Trying new a recipe expands your taste palate and can boost your confidence in the kitchen. Just go for it! One of my favorite winter activities! Vision boards are fun projects that help you to envision the future for yourself. There’s a bunch of research that suggests that creating and using a vision board helps you achieve goals faster. Here’s an explanation by Jack Canfield, success coach. So think of your biggest goals for the year…or in life! Then grab some magazines (or print photos from online resources) that align with your goals and get crafty! Consider money goals, family goals, career goals and vacation goals to include on your vision board. This is one of my favorite winter activities! Start dreaming of your next vacation and make a plan to make it happen. Don’t know where to start? Create a travel bucket list and choose a location. Get your family involved, pick out dates to check out flights (if needed) and accommodations to get an estimate of the cost. Then figure out if and when it’s possible. Next get the time off work and dive into the details! Trip planning can be as simple or complex as you want it to be, so you could really be planning for weeks – until the weather turns and it’s springtime! Pick your favorite charity – or charities – and ask how you can help. Can you volunteer to walk dogs at the local animal shelter? Or stock shelves at your local food pantry? What about volunteering at your church or youth shelter? Could you host a supply drive for an organization in need? There’s never a shortage of people that need help, and volunteering at a non-profit could make your heart happy, too. Grab your old photo albums or box of old photos and remember the good times! Invite your aunt, cousins or best high school friend over to reminisce. 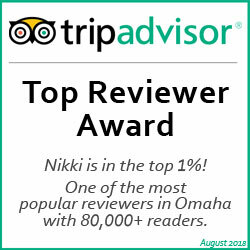 Grab some tea or hot cocoa and make an afternoon of it! Maybe so much time has passed that reaching out to your old friend would feel a little…awkward. Although maybe that few seconds of awkwardness will be worth reconnecting and will be old news by the end of the conversation. So whether you reach out on Facebook or Instagram, by text or call, I bet 10 years from now you’ll be glad you did. Okay so there are probably some winter activities that you don’t love – like this one. But you probably will love the feeling when it’s done. I mean, think about your baseboards, tops of fan blades, or (dare I say it), under your refrigerator. I know it’s not necessarily time for spring cleaning just yet, but you could absolutely get a head start on it! How many of these projects do you have? Whether you’ve always wanted to repaint your bathroom, refinish that end table or hang those family photos up, this is the perfect time to work on it! If you’ve already started a project and just never quite got around to finishing it, what a great time to do it! Make a plan to get it done this winter. Now, whatever items you were stumbling on or caused your delay, it’s time to make a decision! Need to find that perfect mirror before deciding on the wall color? Or pick out those throw pillows that go with your new decor? Friend, get it done. You’ll have a new appreciation for your home, and you can check the DIY project off your to-do list! If you’ve got a shelf or cabinet full of games that are just sitting there, collecting dust, it’s time to get them back out! 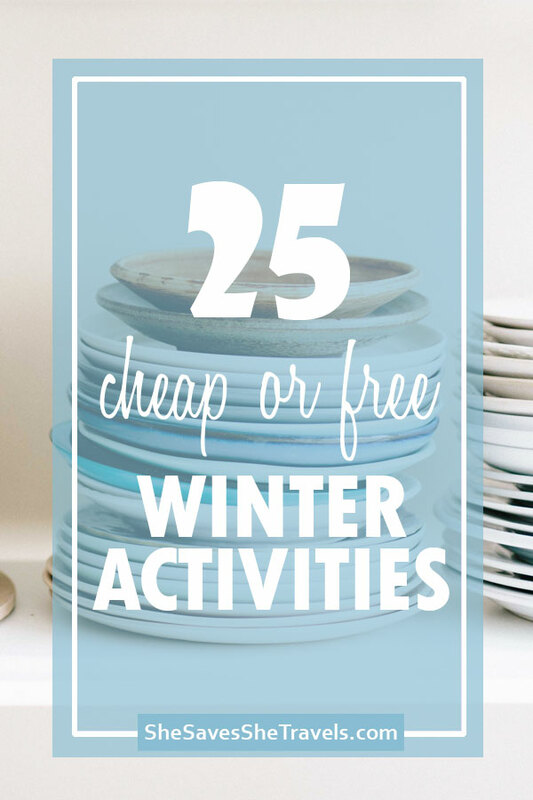 Whether it’s a game you haven’t played for years, or the one your kids got from Christmas but haven’t touched, games are fun, free winter activities that are loved by all. 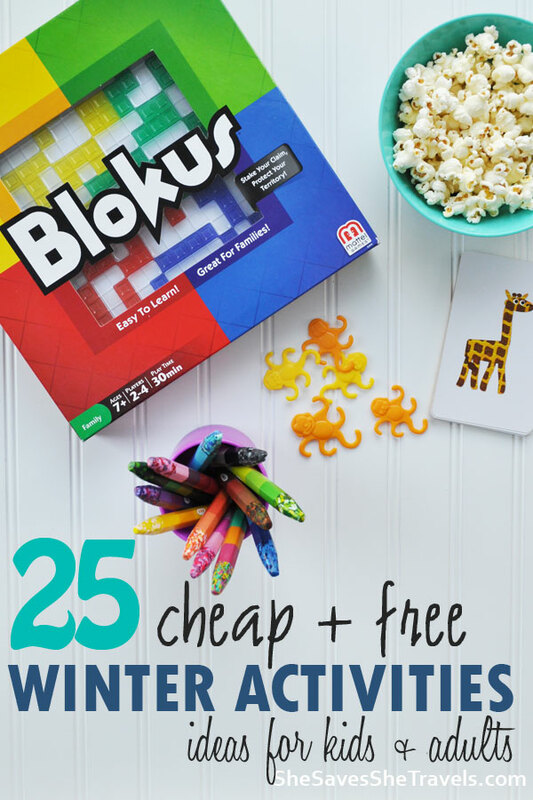 Blokus is our family fave! Create a tournament with a prize for the winner of the night – like no chores for a week! Make some popcorn and make a night of it. Grab a puzzle that’s been done 100 times, or a new one from your cabinet and spread it out on the table. 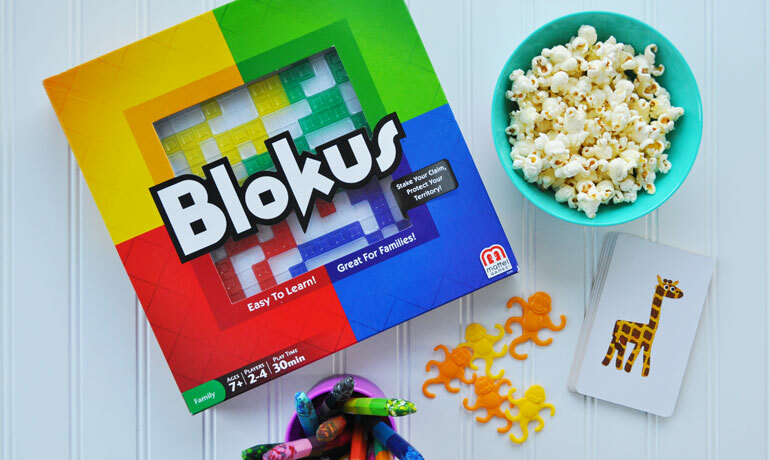 Make it a friendly competition by setting a timer and see who can get the most pieces together before time runs out. To increase the challenge for adults, keep one hand behind your back or one eye closed! There’s endless entertainment at the library! From thousands of books to movies and games you can rent, your kids will likely find something they’ll love! Most local libraries have events, which are free to the public, too. Check out your local library’s event calendar posted on their website to see what’s happening in your area. This one can technically be done with or without kids! It’s great exercise when children have been cooped up all winter, and can provide hours of free entertainment…if you can stand being cold! Of course, making snow angels and building a snowman are more popular free winter activities, too! Reorganize your life…or at least your stuff! This may not be the most exciting on the list of winter activities, but friend you will feel so good when it’s done. Go through your home, room by room (or space by space) and evaluate each item. Have you used the item in the last 6 months? Does the item make you happy? If the answer is no to either of those things, time to get rid of it! I personally like the approach Joshua Becker of Becoming Minimalist takes to getting rid of things that you don’t need. You may have also heard of the popular KonMari method as well. 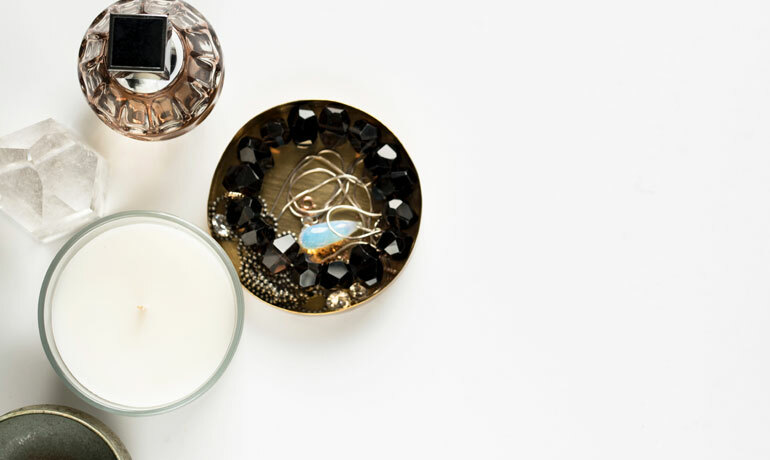 Here’s 101 things that can be reduced in your home to get you started. 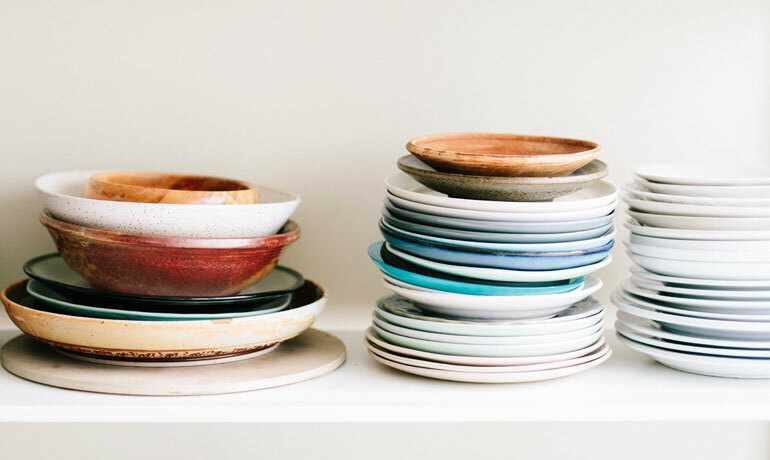 You’ll be able to enjoy your home better when you can enjoy the space you live in by decluttering your home. Have you heard the saying that there’s two types of people: the kind where their inbox is completely empty at the end of each day, and the one whose inbox has three or four digit notifications of unread messages? If you’re the second personality, this organizing tool is for you. This project is time consuming but you’ll be glad you simplified things. Start on your email inbox and work your way up to old files and duplicate photos. While you don’t want to get rid of special photographs and memories, there’s got to be something you can get rid of! Most of us have food in our homes that’s just sitting there and can be put to good use. Discover all the food in just sitting in your house and then make a plan to eat it! Have a leftover ingredient you bought for a recipe and didn’t make a plan for the leftovers? What about canned or packaged goods with expiration dates that are coming up or have already passed? Even your spice cabinet could probably use a good cleaning. Get rid of anything that’s stale or expired. Next clean the shelves and figure out what you have for food. Plan meals for the next week (or two – or three) based on the food you already own. So you’re saving money by not wasting food and also by cooking at home. Oh, and occupying some of your time as you wait for spring. Win-win-win! Get a group of your closest friends together and invite them all over to meal prep in bulk. You’ll have to spend money on the ingredients, but should walk away with several meals that you can keep in your freezer and pull out for quick dinners. Here’s how it works: ask each person to come up with ideas for 2-3 meals that can be doubled, tripled or even quadrupled. You’ll all get together in one house to prepare everything. Then you’ll divvy up the food so each person will take several meals home with them. Remember each person will need to bring their containers too! It’s helpful to use glass ones that can be transferred from the freezer to the fridge then to the oven (or dumped in a crock pot). 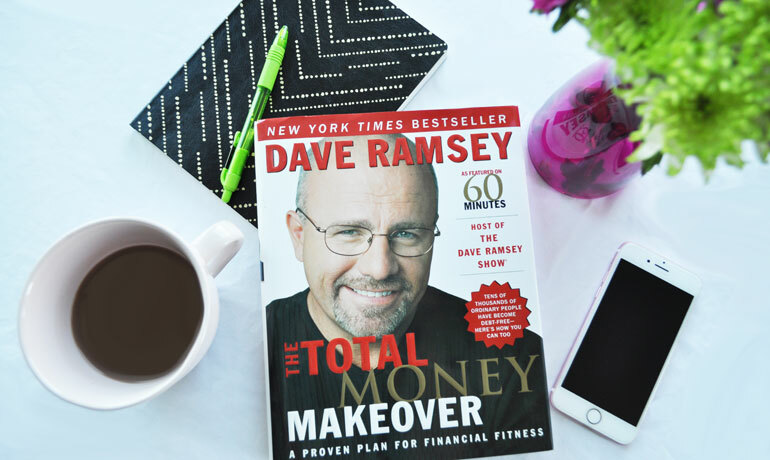 The best money management book I’ve read is The Total Money Makeover by Dave Ramsey. It literally changed the course of my financial future, and I recommend it to everyone as a starting point! Here are some others that I recommend. Oh, and each of them is on audible so if you’re not one to sit down and read a book, you have other options! If you’re struggling with debt of any kind, it’s time to get rid of it! Whether it’s debt from credit cards, car loans, a loan from your parents, or whatever, this is your time to take control of your money. First I’d recommend to read the books above to get you in the right mindset. Next, and this is important, you’ll need to figure out what you earn and what you spend. Then create a budget and pay anything extra towards debt. Follow @daveramsey on Instagram for extra motivation! If you ever want to go on vacation, buy new furniture or do a home remodeling project without feeling like you’ll be paying off your credit cards forever, it’s time to start a savings plan. First, you should establish an emergency fund so you have a buffer in case of emergencies. 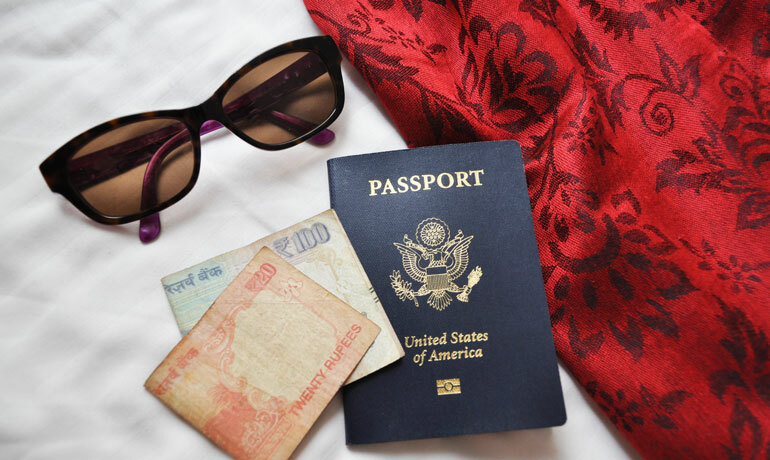 Next you can start saving for the other things you want to buy with your money – like vacation! This is perhaps one of the most important winter activities! 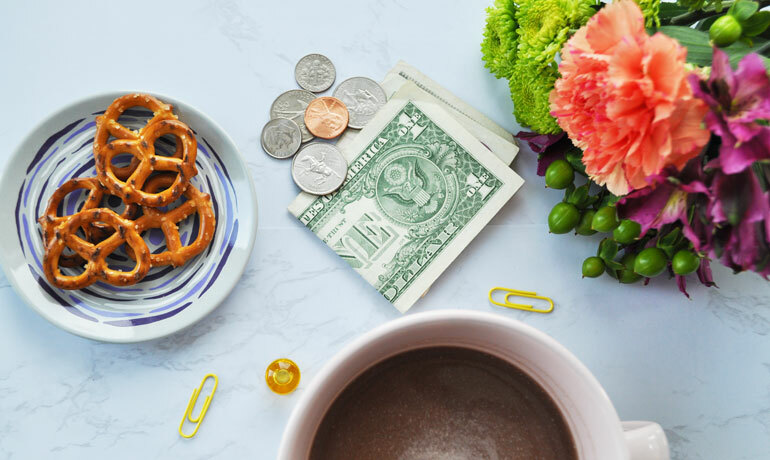 So set a big – yet attainable – money goal. Go through your finances and figure out a number that makes you a little uncomfortable, but with effort it can be done. Next break up that big goal into monthly, weekly or even daily savings goals to chunk it down. Keep track and celebrate your wins along the way. You got this! You know all those things you decluttered from your closet, kitchen or garage? Well make some money on them! My go-to’s for selling things locally are Craigslist, Facebook marketplace or Facebook groups. Online consignment places like ThredUp, Swap.com and Ebay can be great ways to sell your stuff, too. Just set a minimum price point that will be worth your time. Make sure you consider the time you will spend listing the item, following up with buyers, shipping the item or meeting in person. Is your minimum $5, $10 or even $20? Remember nobody wants your partial set of kitchen glasses or an old pair of sandals with a torn strap. Also make sure the item is as valuable as you price it. Doing research in advance by checking out similar items and prices will help your item sell faster. Also, this goes without saying, but be smart and safe when selling things to someone in your own town. Be smart about a meeting place (preferably not your home!) and at a time when it’s light outside. Go for a public place with lots of traffic. Some cities even have designated transaction locations. Search your city here. You can pretty much sell anything on an Etsy shop these days. From cute infant headbands, custom-printed signs, coffee cup sweaters to hand-made jewelry. If you’ve got a creative side, you can turn it into a business on Etsy. If your kids don’t already do household chores for money, winter time is a great time to start! Kids enjoy spending their own money, so why not have them help out around the house for commission? Our family doesn’t call it allowance because they have to work for it, and their chores for commission are on top of regular, easier chores they already do. Create a list of extra things that can be done around the house, based on your children’s skill level. Then determine a fair value for completing those tasks. Next, it’s as easy as keeping track on a piece of paper who is doing what extra chore and when. Set a day of the week to pay your kids (consistency is key to keeping kids excited about it) and watch them have fun with it! You can divide the household chores easier when there’s more people contributing, and paying them for their work helps them to learn the basics of money. 23. Learn a new skill. Maybe you’ve always wanted to learn a new language, make your own earrings or become an expert in social media advertising. Whatever the thing is that’s been on the back of your mind or in your heart, there’s not a better time than now. There are a bazillion YouTube videos and blogs out there that can teach you what you need to know – and most of them are free! Search on Pinterest to find inspiration and how-to tutorials and just jump in! 24. Get back to your hobby. Do you remember how much fun you had years ago when you would spend hours getting creative (and really good) at painting, cooking or taking photos? Whatever your old hobby was, how about bringing it back into your life? Just because you’re older now, and probably more busy, doesn’t mean that your passions are no longer relevant. So grab that notepad and start drawing again…or baking…or running. Your cup will be filled with time spent on your passions. This is one of the most important winter activities I can think of! It might be easier to find the time to take care of yourself when there’s not weekend bar-b-ques, family reunions or pool parties to attend, like in the summer time. So focus on yourself and focus on intentional relaxation. Meditation and yoga can be great ways to focus on yourself, and they can be free winter activities. Download free apps or watch free YouTube videos to guide you through a meditation or yoga sequence. Which of these winter activities will you do? Those are great ideas! Simple and right in plain sight. I know for myself, I am working on a few different recipes to keep myself occupied. These are solid winter tips. I seriously need to organize my digital life. Thanks Dani, glad you found them helpful. 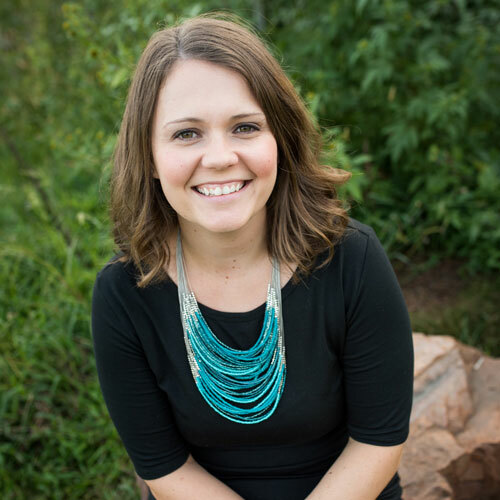 I’m in the same boat – organizing your digital files and email seems so daunting. Good luck with it!